Chico Force, a professional security corporation operating since 1990, is recruiting young graduates for a brand new occupation: the executive aide-de-camp (EADC). The EADC role is the first of its kind in Malaysia. Traditionally, “aide-de-camp” refers to aides of high-ranking military officials or of heads of state, but “we want to improvise this in Malaysia,” says Datuk Nik Ismail bin Nik Yusoff, chairman of Chico Force and former deputy commissioner of police. While aide-de-camp function in political and military structures, EADCs are their cousins in the corporate world. 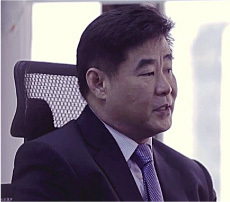 “They provide both protection services and serve as a personal assistant to a high-ranking individual, who may be CEOs, managing directors or presidents of companies,” explains the chairman. Like a trusted super-assistant, the EADC gets involved in business affairs with duties such as organising and attending business meetings, and preparing business trip itineraries. At the same time, he or she is equipped with the know-how to oversee the personal wellbeing and security of the person they are assigned to (their “principal”). For young graduates, the opportunity represents a lot more than serving a high-ranking corporate leader. Since the EADC works closely with their principal, this offers the opportunity to be privy to business discussions that normally remain behind bolted doors. For young individuals aspiring to accelerate their trajectory in the business world, the position of EADC could provide the ideal starting point: access to strong business networks and exposure to the inner workings of industries. There is also an attractive remuneration package. Chico Force CEO Datuk Seri Juniur Khoo explains that young graduates are ideal candidates to be EADCs, as they are energetic and hungry for personal growth. The breadth of the EADC’s role demands training that is equally well-rounded. Chico Force has planned a comprehensive training programme for hired candidates, with elements ranging from defensive driving and firearm handling to professional etiquette. Some training elements (such as getting a helicopter licence) will be customised according to the principal the EADC is assigned to. 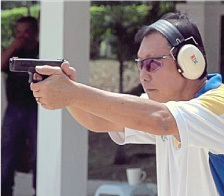 With more than 30 years experience with firearms and 15 years experience as a firearms instructor, Foo Kah Hin leads the firearms module of the EADC training programme. “Firearms training is all about safety,” he explains. According to Foo, there are three parts to learning proper gun handling techniques: safety, accuracy and speed. “The EADC must also learn to control stress, because being too stressed can be detrimental to his or her performance,” explains Foo, who also conducts courses for the police, the military, shooting associations and government industries. As travelling with the assigned principal is part of the EADC’s role, defensive driving skills are essential. “The essence of defensive driving is safety. 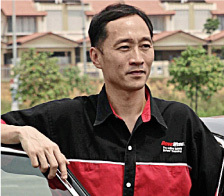 We teach people how not to get involved in any untoward incidents,” says Sean Khoo, who has 19 years experience in defensive driving training. Khoo is qualified by police academies in Australia and the United States to teach advanced driving, police driving and ambulance driving. “The best approach is always to prevent something from happening. But sometimes, things don’t work for the best. So EADCs must develop skills to run away from a situation as well,” he explains. 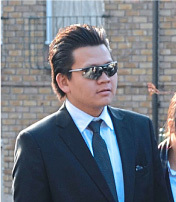 “Close protection training will equip EADCs with essential skills to look after the safety of their principals,” says chief instructor Khoo Nee Keong, who has undergone close protection training under the Regalis Group in the UK. He explains the need for EADCs to have a high degree of responsibility, foresight and to always have a contingency plan. 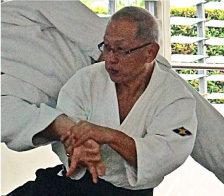 According to Sunny Loke, a sixth dan instructor with a level one Yoshinkan aikido instructor certification, aikido harnesses the force of the opponent and redirects it to render it harmless. “This makes it ideal for smaller sized people if they have to go against those who are physically stronger,” says Loke. “Unlike karate and taekwondo, aikido is defensive. When someone attacks us, we neutralise the situation and that’s the end of the story,” he explains. As the EADC role involves interaction with a wide range of people, soft skill training is included. “The training will cover etiquette and protocol, communication, spatial thinking and visualisation,” says Raymond Goh, who has more than 20 years of experience in broadcasting and training. “After undergoing the intensive training that we have planned for new DCs, we expect them to be capable of critical thinking and protecting the client. “Some of the qualities we’re looking to imbue into our EADCs would include responsibility, crisis management and analytical thinking,” he explains. 1. What is an EADC? An EADC is a personal aide to a top business leader who is responsible for the safety and facilitation of the leader’s daily routine. 2. Can both males and females apply? Both male and female applicants are welcomed, as male EADCs will be assigned to male principals, and vice versa for females. Since the role of the EADC includes personal protection, physical accessibility is crucial and areas restricted to certain genders such as toilets, should not pose an obstacle. 3 What type of people are they looking for? – Degree holders from any discipline with active involvement in extra-curricular activities. – Individuals who have a strong passion for entrepreneurship and are business-savvy. – Individuals with strong communication, interpersonal and written skills. – Creative problem-solvers, who perform well in a demanding environment. 4 How fit do you need to be? Applicants will preferably have a good level of fitness. It will be an advantage if they possess martial art skills. However, physical and soft skill training will be provided. Your Bank. Malaysia's Bank. AmBank.